2017 has been a full year at DataFeedWatch. 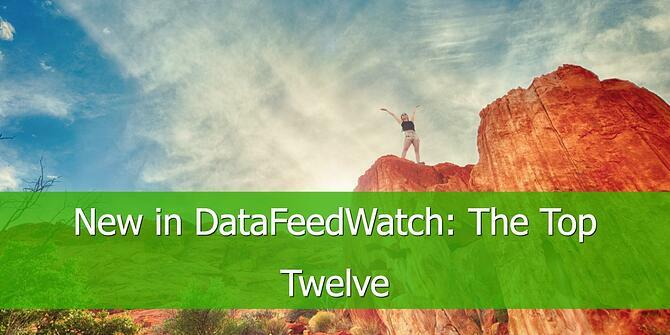 We’ve grown a lot and our teams worked relentlessly to make DataFeedWatch the best feed optimization tool there is. It has been also the year that we learned that we need to communicate more. We always work like crazy adding new integrations and new features to our tool, but we often kept it silent. We preferred letting the tool speak for itself, but we realized that we need to talk more about our newly added features. Not to blow our own horn, but because it is crucial that users are always aware of the choices they have at hand for better managing their feeds. The preview feature is probably the one that got the most love from our customers. It saves time, hassle and it’s intuitive. 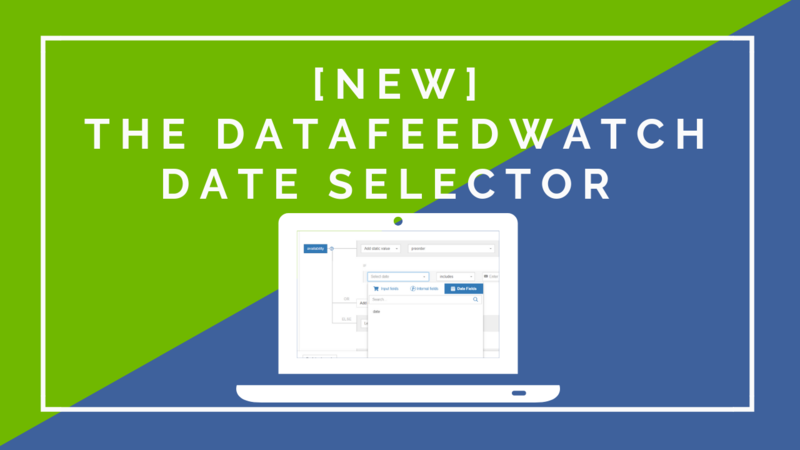 With DataFeedWatch Preview our users can now see how an attribute will look at the customer’s end on the shopping engine from within the feed. Initially, we released it for the feed mapping page, but due to popular request we will soon extend it to the Category and Exclude Products pages. Allows merchants to exclude all variants of a product from your feed if a specific variant or a certain percentage of all variants go out of stock. 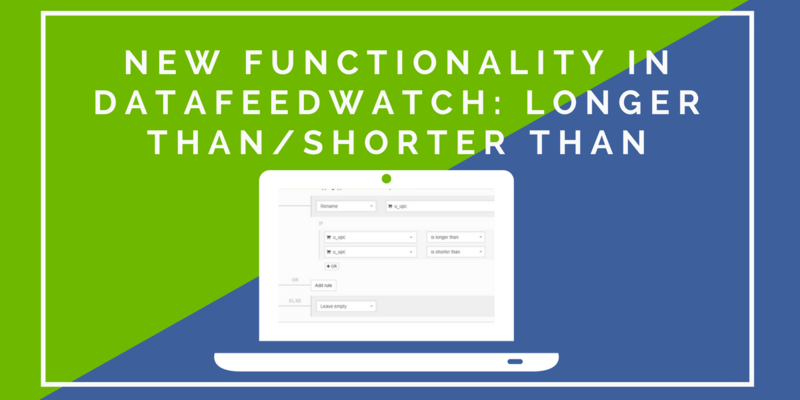 Not only does it give retailers a higher degree of control over the products they want to exclude from their feeds, but it is a low hanging fruit that has the potential to improve shopping feed performance overnight. When and how to use associated variants in your feeds? What are other retailers saying? 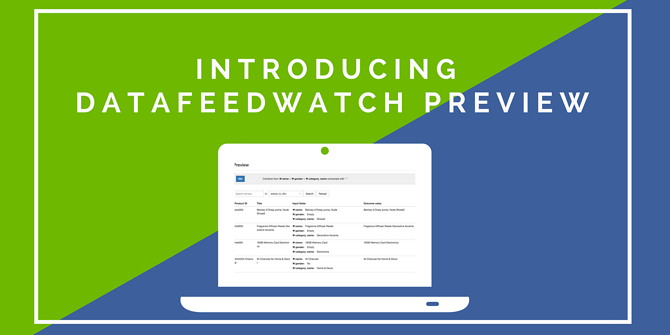 DataFeedWatch Merchants can now upload their inventory fast and easy to eBay through the Merchant Integration Platform (MIP) in Australia, Austria, Canada, Germany, Spain, France, Italy, United Kingdom, India, United States and Russia. 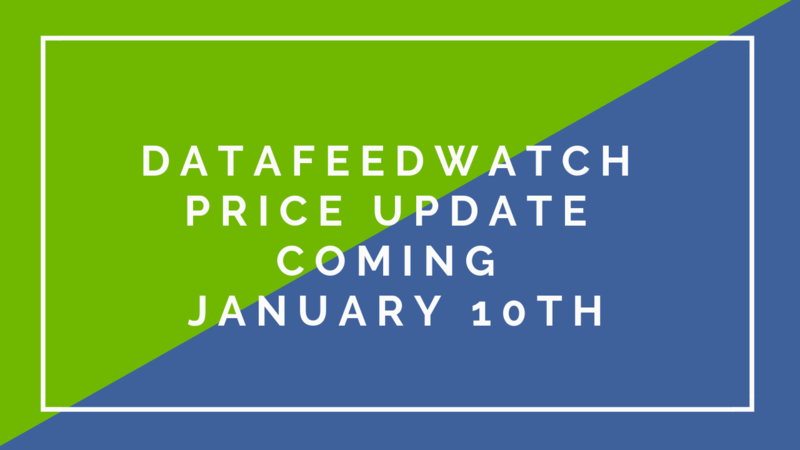 How to get your products on eBay in DataFeedWatch? What type of feeds do you need to create and when to use them? How to submit product variants? How to upload the feeds to eBay? Marktplaats is one of the top 10 most prominent websites in The Netherlands. While not as prominent in Belgium, it is still an important online selling channel. We already fully support the integration on the Dutch market, but for the Belgian territory, the marketplace was previously available through a standard feed upload. Mid-autumn we announced the upgrade of our navigation. The new layout makes it easier for users to find their way around the tool and to separate the navigation from the pages they are working on. The new design has an updated look and is more responsive and intuitive. The processing speed of the feeds was cut to half. The customers that will see most benefits from the increased processing speed are the ones with larger feeds. 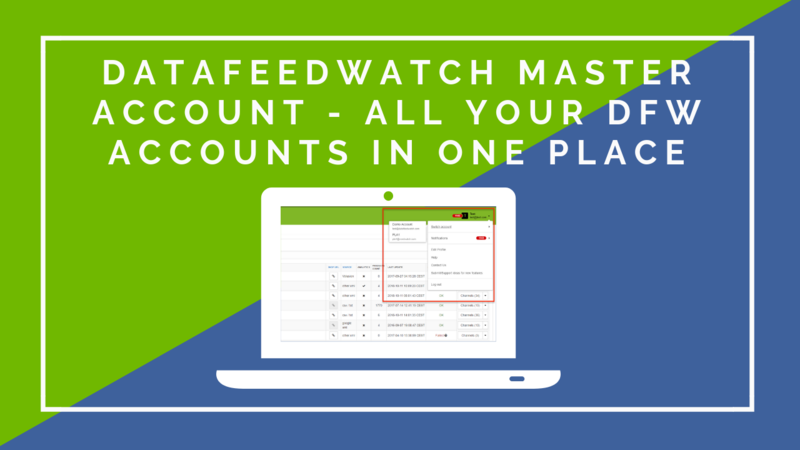 DataFeedWatch full integration with VersaCommerce Shopping Cart will make multi-channel marketing effortless for all German online merchants. Thanks to the integration, VersaCommerce merchants can now scale their omnichannel presence faster and easier. New Chat Icon - replaced the big orange chat box with a smaller one. While a lot of merchants are still using Magento 1, it's just a matter of time before they migrate to Magento 2. We changed the interface of the ''Field Mapping Template''. We added a way to fold in all rules, so you can review all your rules at a single glance. 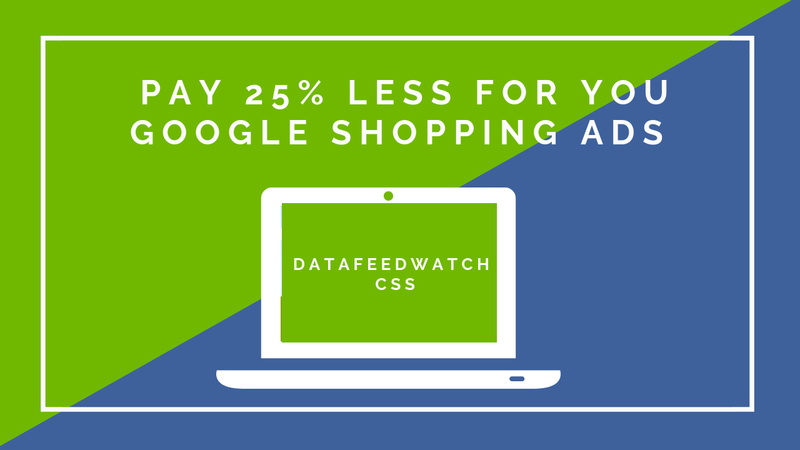 Deploying DataFeedWatch with inRiver can lead to higher web search conversion rates. As enterprises enrich their product information, they offer more detailed product descriptions which result in more specific and satisfying search results. Thank you for your support during a momentous year and we look forward to working with you in 2018.